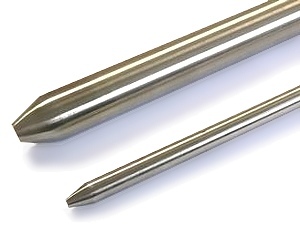 Thermocouple temperature sensors can be made with various conductor materials for different temperature ranges and output characteristics. 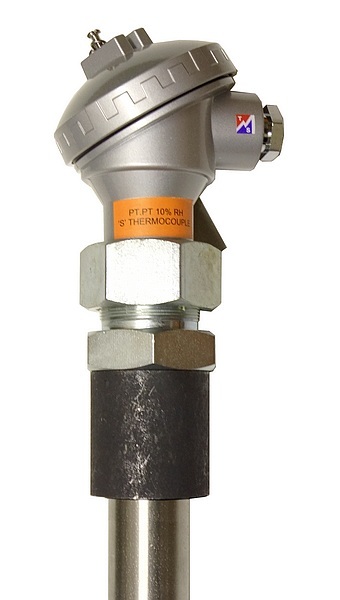 Over the years these have been standardised with defined temperature difference vs millivolt output relationships. 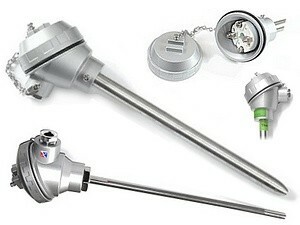 These established thermocouple “Types”, e.g. 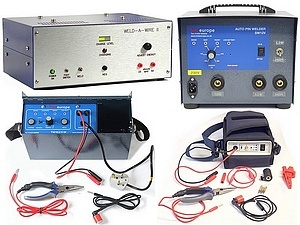 “Type K”, (sometimes confusingly referred to as “thermocouple calibrations”) are not compatible with each other and must have their own connecting cables and measurement instruments configured for that Type. 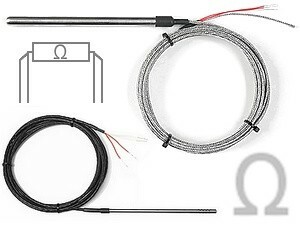 Because of the way thermocouples work it is paramount that polarity (connection of positive to positive and negative to negative) is always followed through all connections. 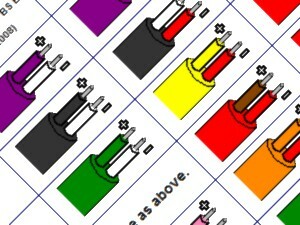 The table below shows the most commonly encountered colour codes used on thermocouple leads and connectors. 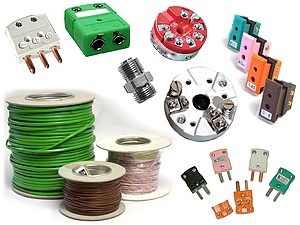 These are used to identify the Type and positive and negative wires. 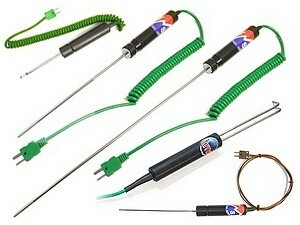 It is important to recognise the unfortunate use of the same colours for outer sheaths and connectors on different thermocouple types under different standards. Other colour coding systems also exist but are not shown below, these include French, German and Japanese. Type B N/A. Uses uncompensated (copper) cable. 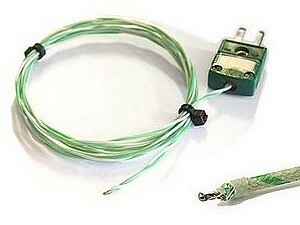 Connectors are often white. *IEC Intrinsically Safe Circuits have a blue outer insulation sheath (instead of the same colour as the inner positive insulation sheath). The table below shows the defined temperature ranges for thermocouple types. 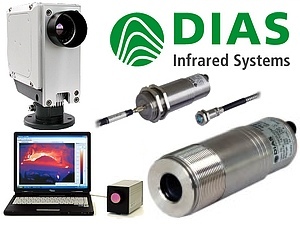 The IEC standard defines Class Tolerances for initial accuracy over a given temperature range. 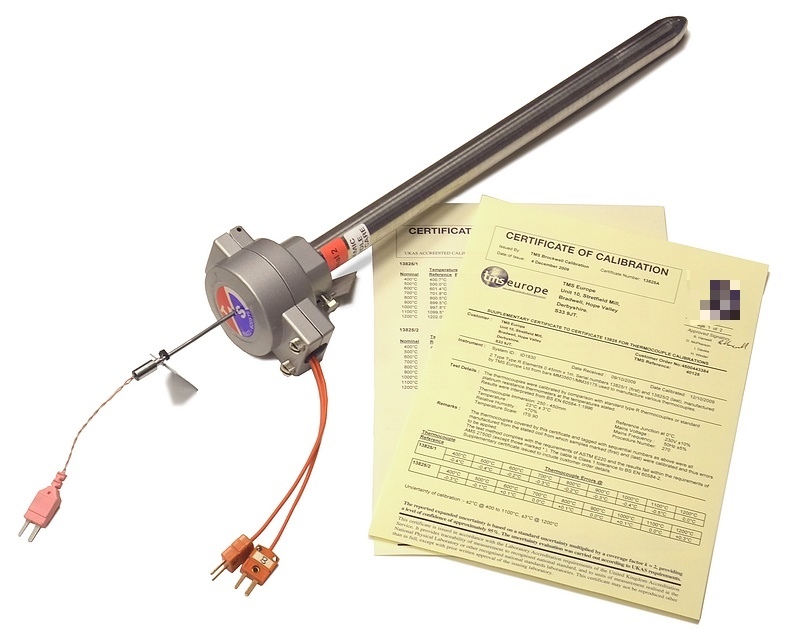 Outside these temperatures the manufacturing accuracy is unknown and if a thermocouple is used outside these temperatures it may de-calibrate (permanently lose accuracy) at a much faster rate. 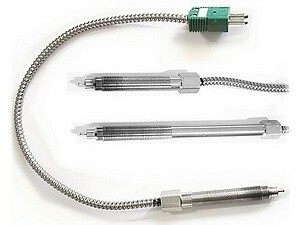 *Thermocouples of this tolerance class can be used outside this range, but no tolerance is defined outside these limits. The table below contains the manufacturing tolerances for different thermocouple types and Pt100s classes at different temperatures. 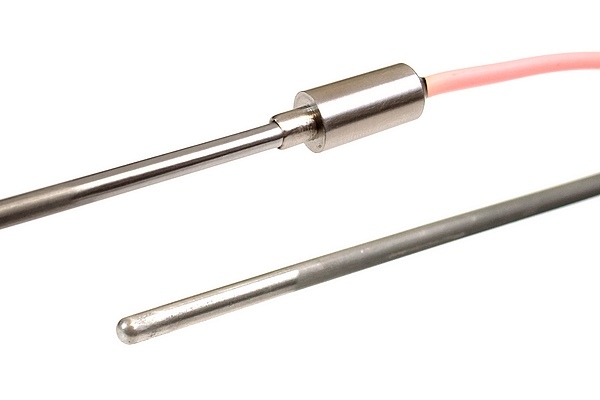 These are ± (+/-) values, so a Class 1 Type K thermocouple at 500°C is ±2°C, so could read anything between 498°C and 502°C and be within manufacturing tolerance. But remember, with use thermocouples will de-calibrate and drift outside these tolerances, which is why calibration is so important.